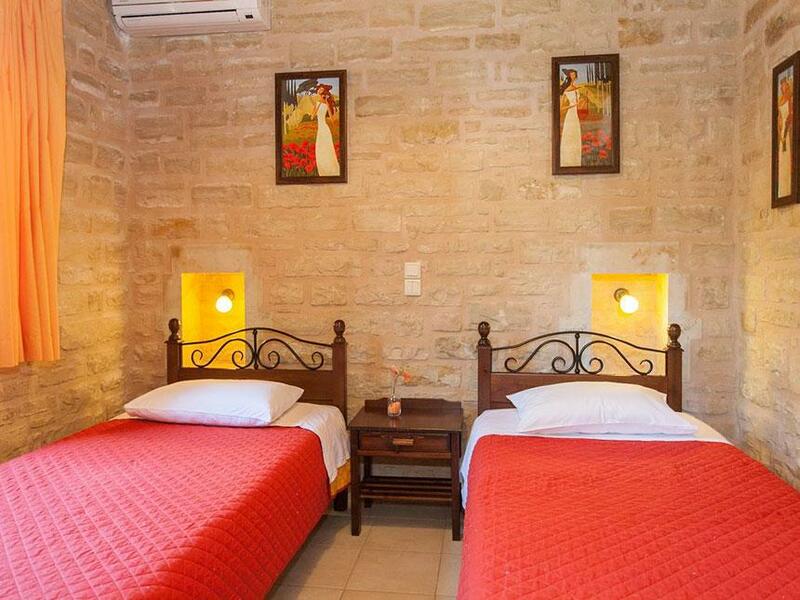 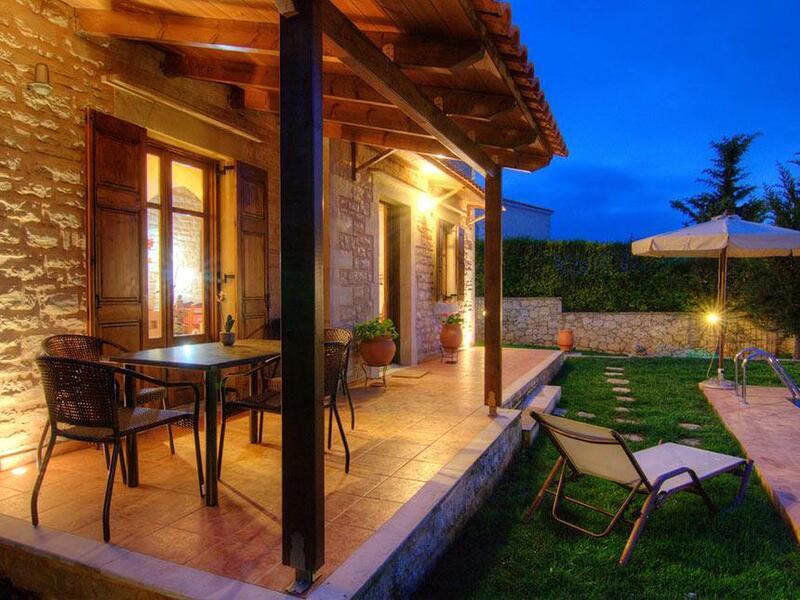 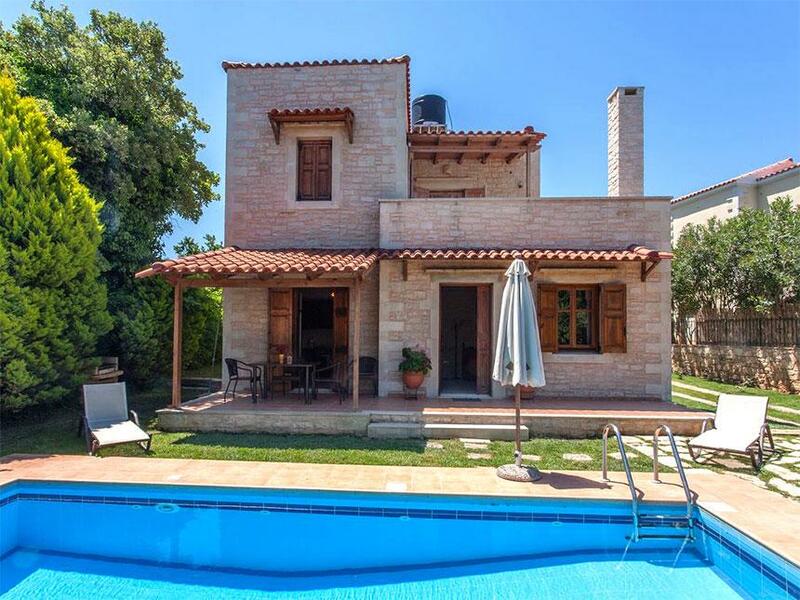 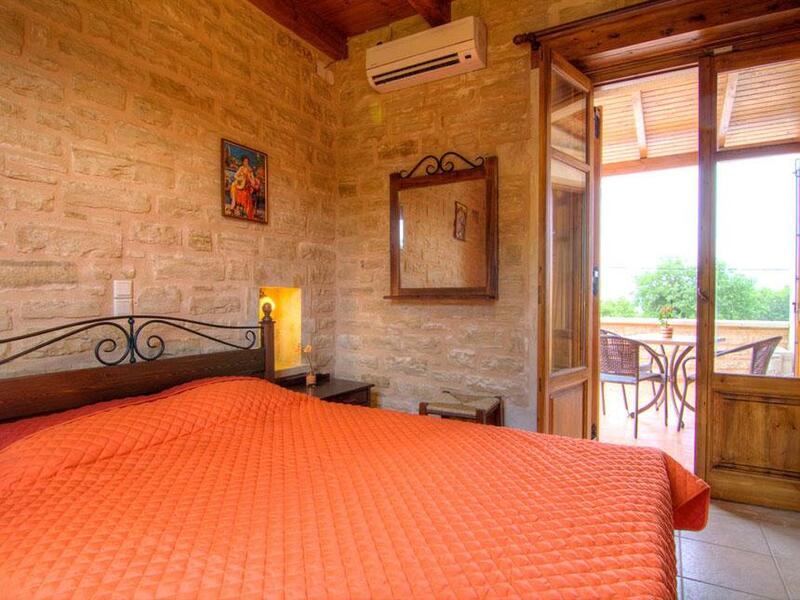 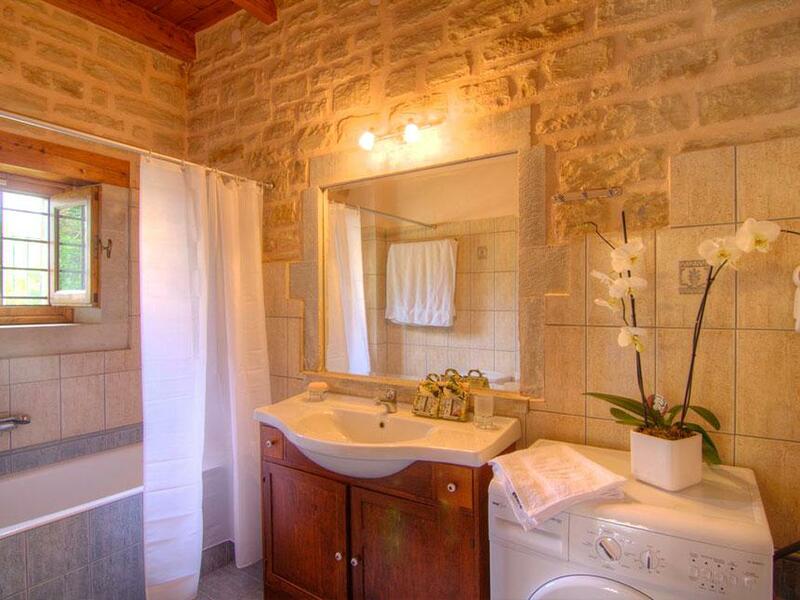 Traditional stone villa with private pool near beach | Villas in Crete to rent - Holiday villas for rent in Crete. 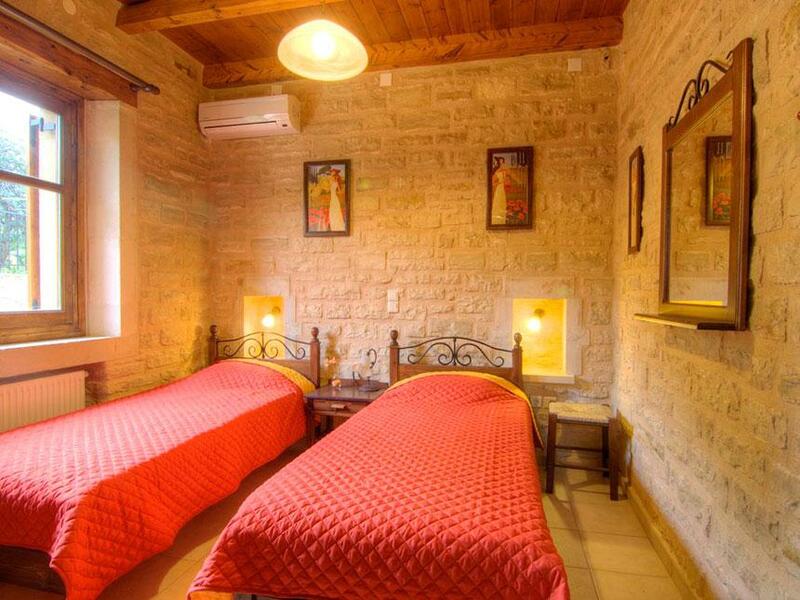 The villa can accommodate 6 persons in 3 bedrooms and may extend for 2 more using a twin sofa bed and has a special, on request baby bed. 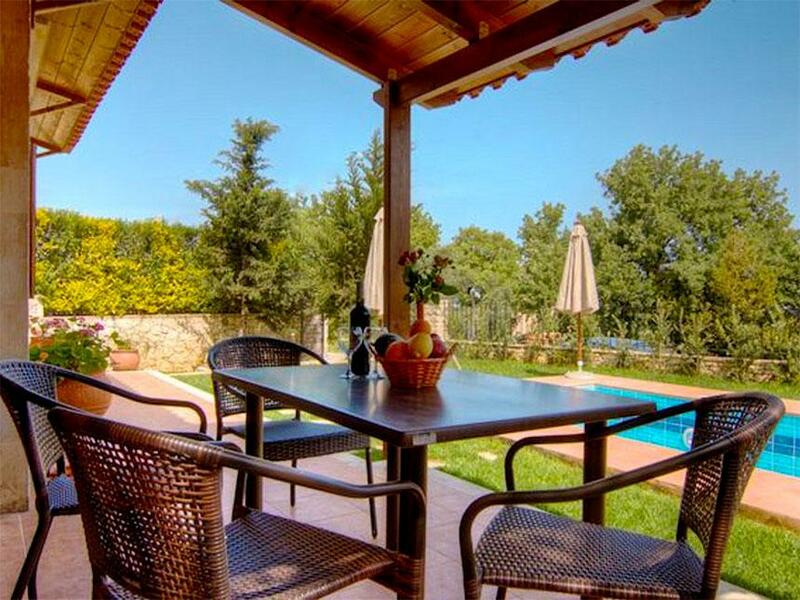 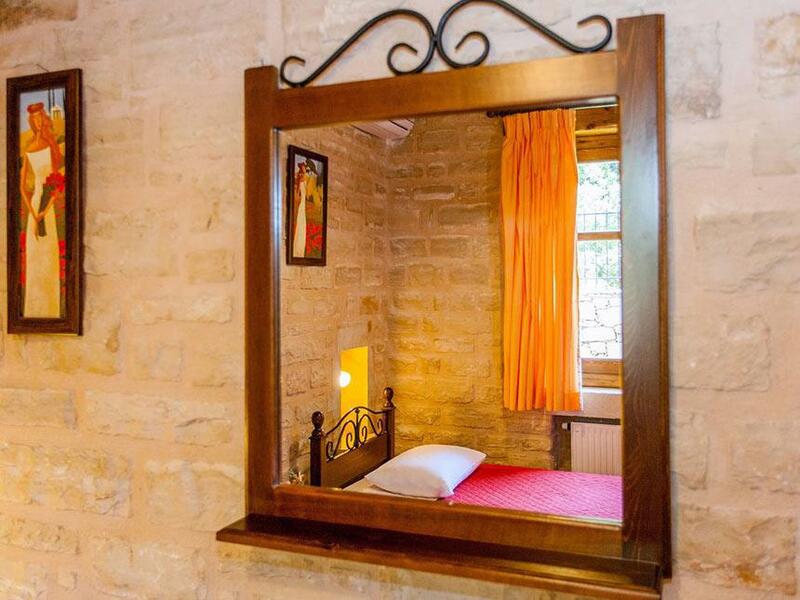 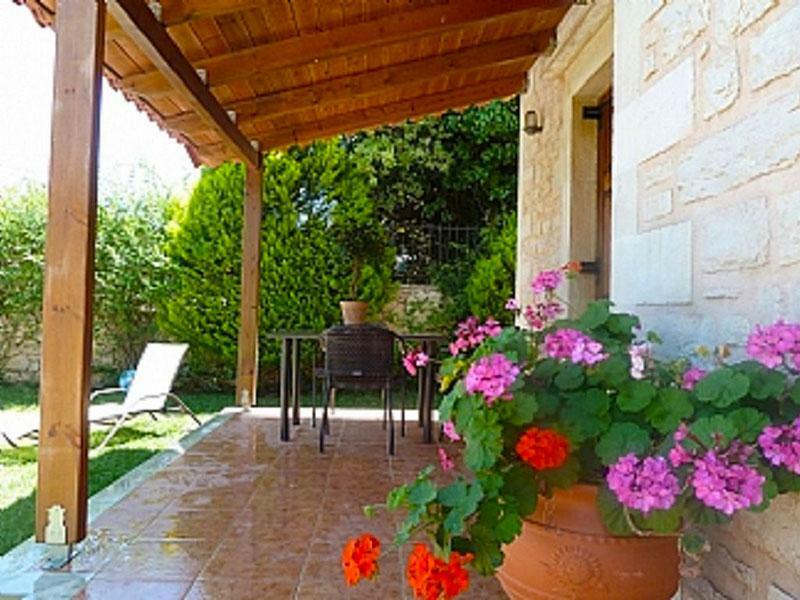 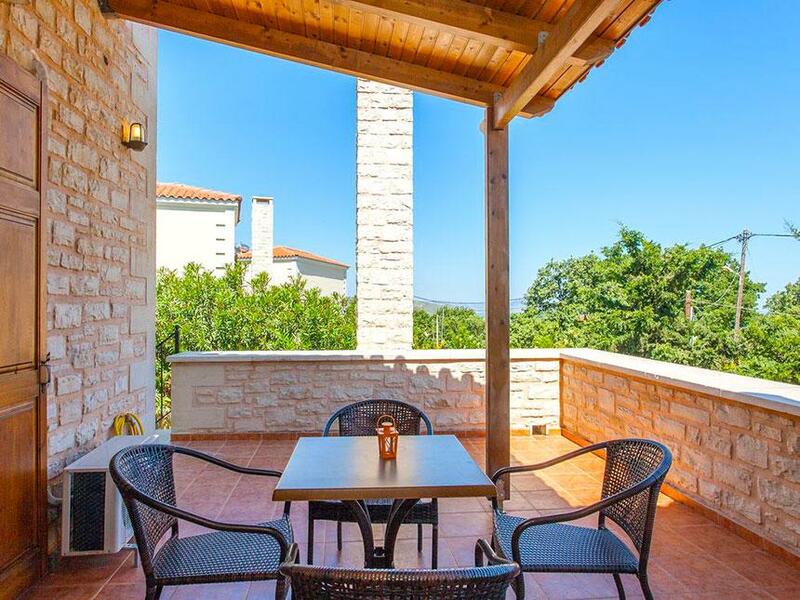 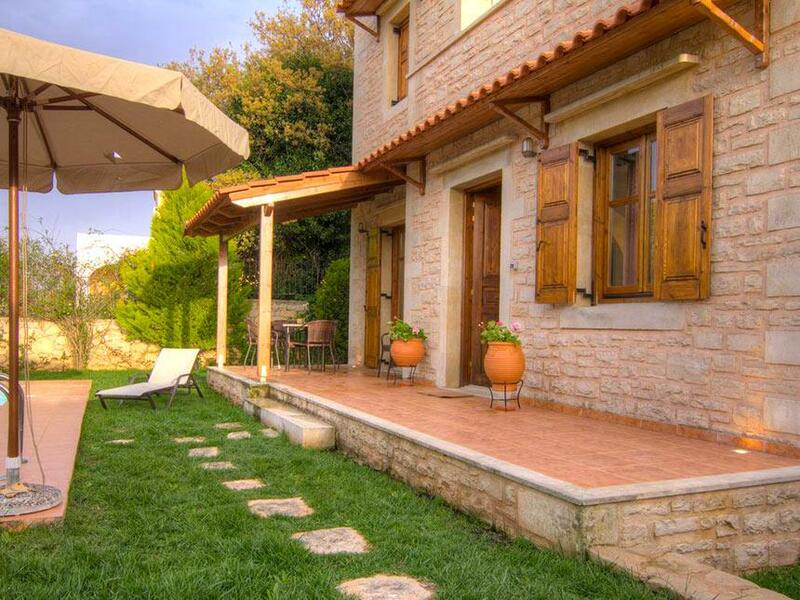 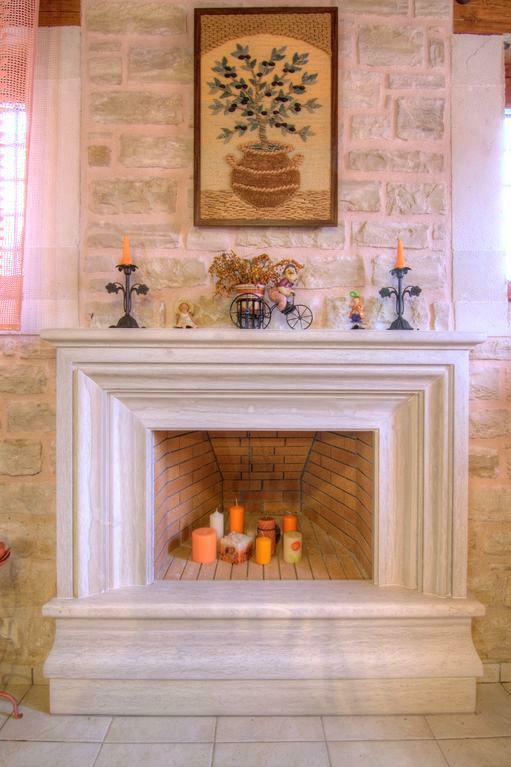 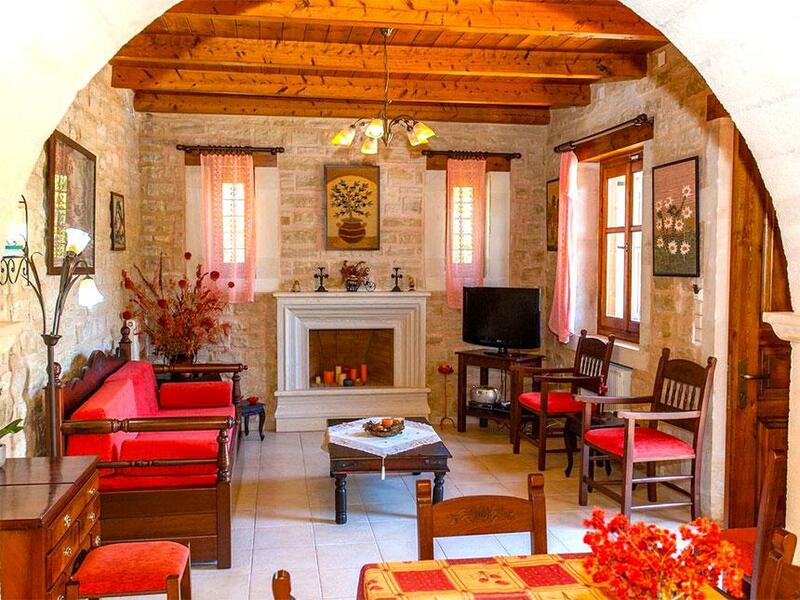 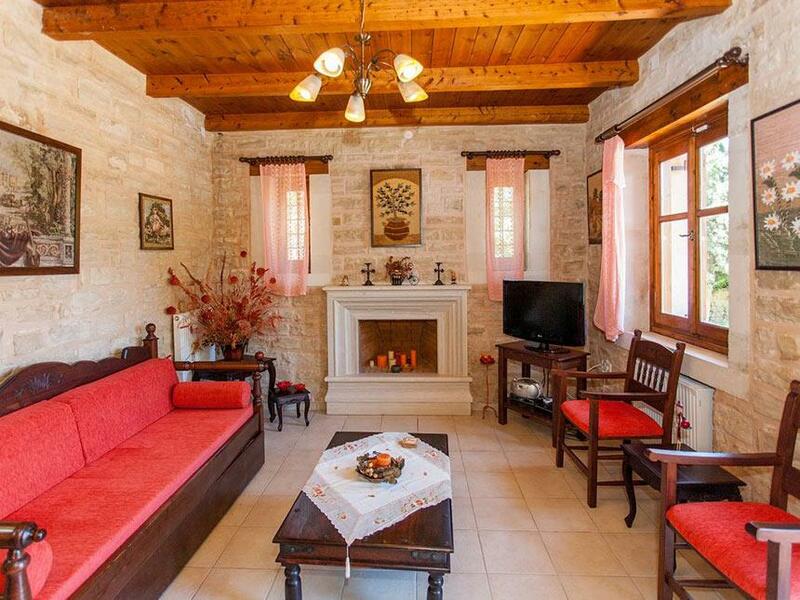 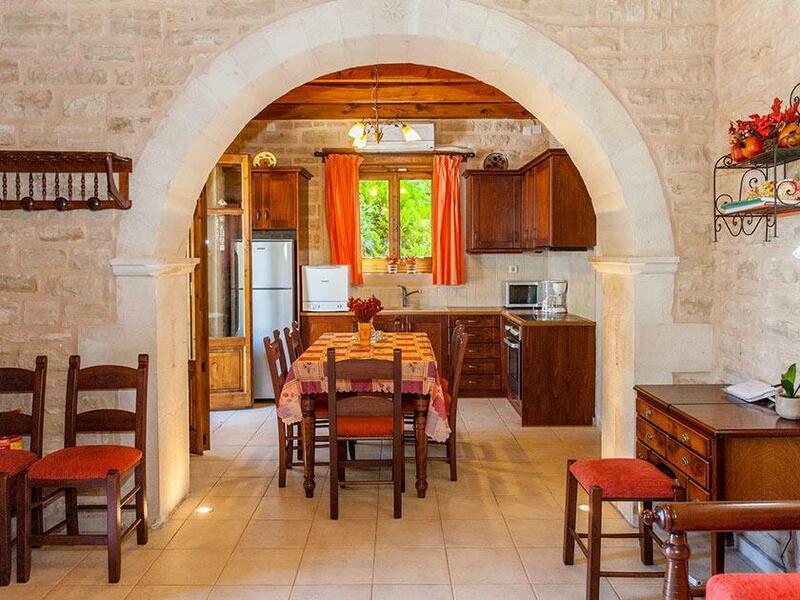 Villa Phaedra,decorated by wood with Cretan traditional style with handmade crafts,offers al the amentities of modern house such BBQ, private parking, WFI , etc. 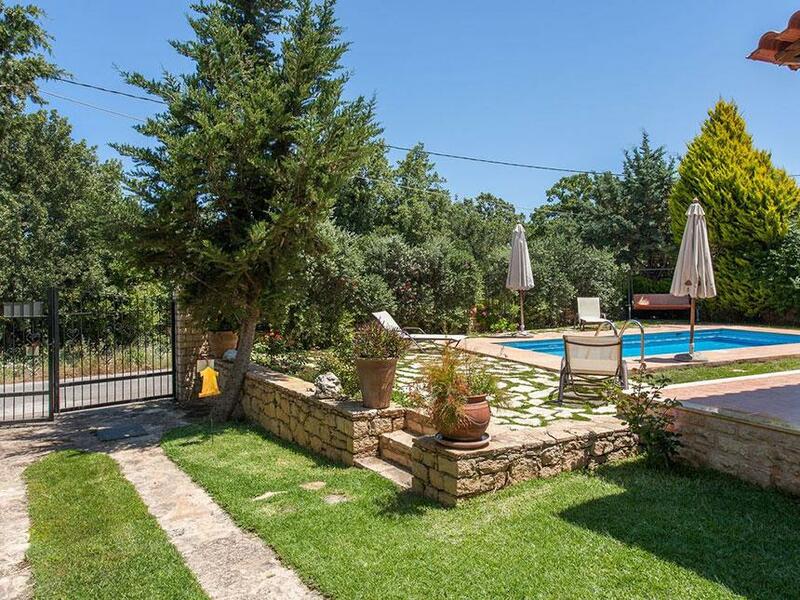 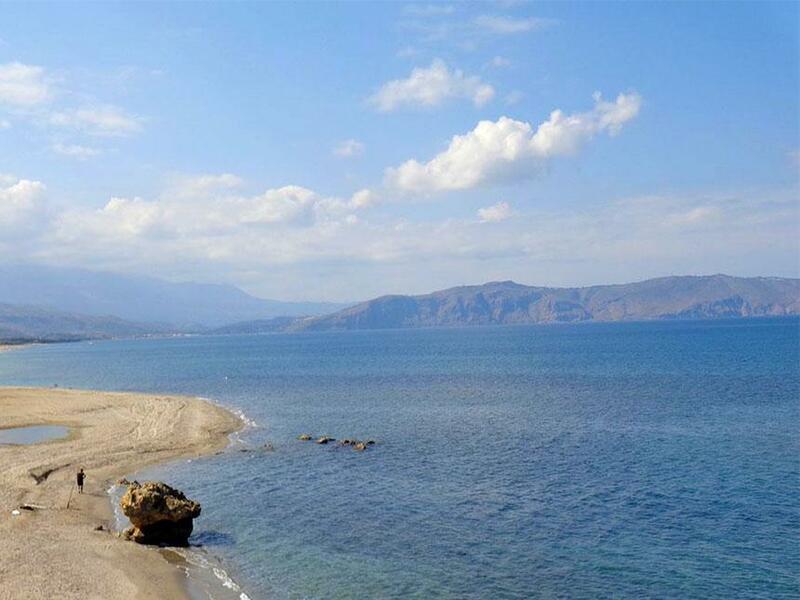 It is surrounded by olives, oaks and Cretan herbs and is Ideal for lovers of country ,beach ,children,families and couples .The hosts can enjoy relaxing,peace,safety and privacy as is fenced by high walls .Most of all the feeling of staying in your home. 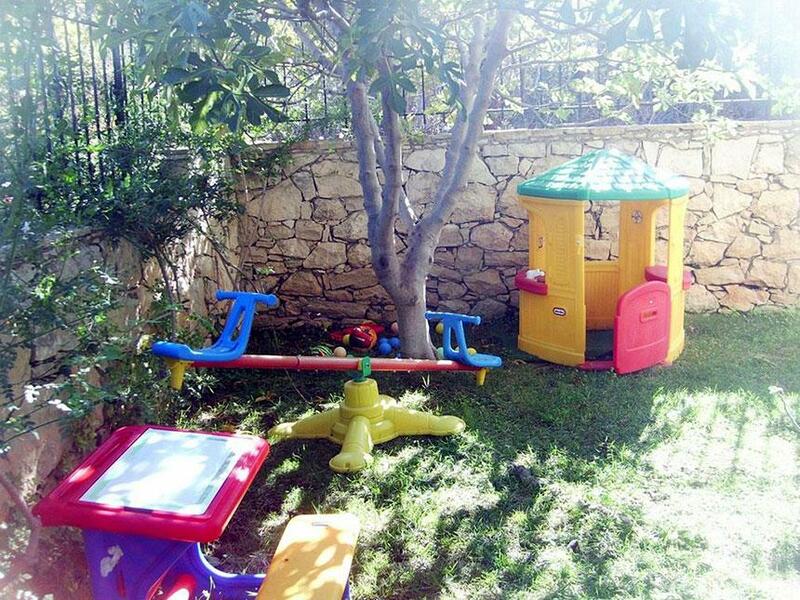 Car is necessary for your transportation.